Willmar began a new chapter in its history when AGCO recently transferred the brand’s seasonal production from AGCO’s manufacturing facility in Jackson, MN, to Radius Steel Fabrication in Sioux City, IA — a move designed to help the brand meet the growing demand for fertilizer handling equipment. 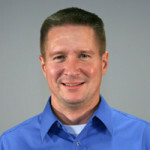 “As yield goals have increased in recent years, farmers have been using more fertilizer which has generated higher demand for tenders and spreaders,” says Dave Lovell, manager of field sales and marketing for AGCO Application Equipment, which has produced and marketed the Willmar equipment lineup since the brand was acquired by AGCO in 1999. At the 172,000 square-foot Radius Steel Fabrication facility, Willmar production is now year-round, which enables AGCO to be more responsive to the needs of equipment dealers and farmers. Lovell says the new facility has more square footage to handle production of Willmar’s larger tenders and spreaders, which allow farmers and custom applicators to cover more acres more efficiently per day. A powder paint is applied to a Willmar tender part in Sioux City, IA. 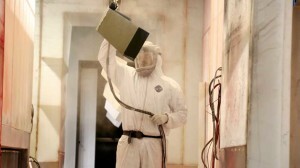 Another benefit is the powder painting process at the Sioux City plant, which is a proven technology that is chemical-resistant. “After paint is applied, equipment goes through a quick cure oven that bonds the powder paint to the stainless steel for a high quality, durable finish,” explains Mike Felts, Radius Steel Fabrication director of operations. The 24-ton side-shooting tender. This unit can be trailer-mounted and move up to two tons of material a minute with a large-diameter, 10-inch auger that comes either 17 or 20 feet long. Six compartment hoppers can carry a variety of materials, with steep, 40-degree, sloped sides for quick material dispensing. The 24-ton side-shooting tender holds an incredible struck capacity of 774 cubic feet (867 cubic feet heaped). A finished Willmar 16-ton side-shooting tender. The 16-ton side-shooting tender. This unit holds capacities of 516 cubic feet struck and 570 cubic feet heaped, can be truck- or trailer-mounted and move up to two tons of materials a minute. Four hopper compartments support the simultaneous transport and use of a variety of products. The 1600 rear discharge tender. This unit has a large-capacity hopper (500 cubic feet struck and 560 cubic feet heaped) and two compartments feeding into one auger. Willmar’s 1600 rear discharge tender can carry nearly any single, dry-material product and load any applicator or planter at up to two tons per minute. The Super 800 spreader. This unit allows operators to control application rates in low or high ranges, from 311 to 1,033 pounds of material per acre. Two spinners create a total spread pattern of 80 or 100 feet, respectively, and produce a pyramid-type pattern using a 100% overlap. 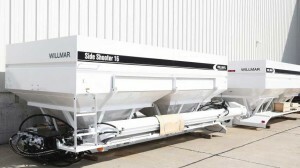 The Super 150 spreader. This unit is designed specifically for orchard and vineyard applications, as well as for smaller pastures. It features two 25-foot spinners that deliver a total spread of 50 feet using a 100% overlap pyramid-type pattern that reduces spread pattern variations due to wind and rough terrain. Willmar’s dedicated dealer network provides full-service support with an industry knowledge-rich workforce that is committed to delivering an unmatched ownership experience.